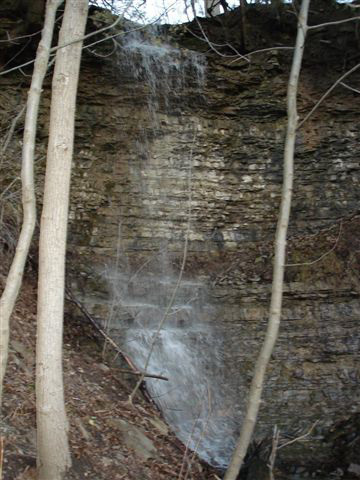 Ferguson Falls is located across the gorge from Tews Falls and along the Bruce Trail between Tews Falls and the Dundas Peak, about 30m before the Glen Ferguson Side Trail junction. 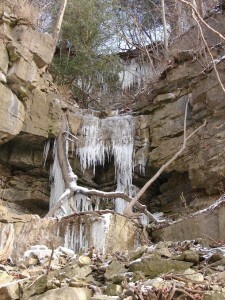 The Bruce Trail passes over a bridge which spans a small ravine carrying water to the top of Ferguson Falls. Its crest width is 2 metres (6 feet). 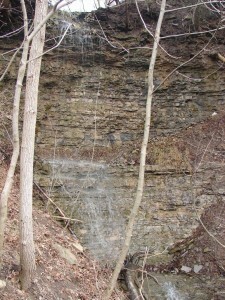 Its height has not been measured yet as it is difficult to do so. 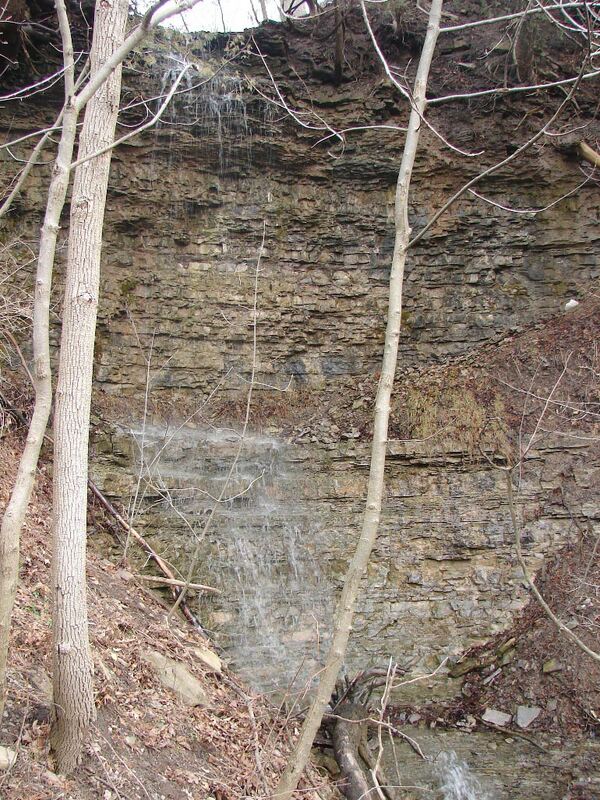 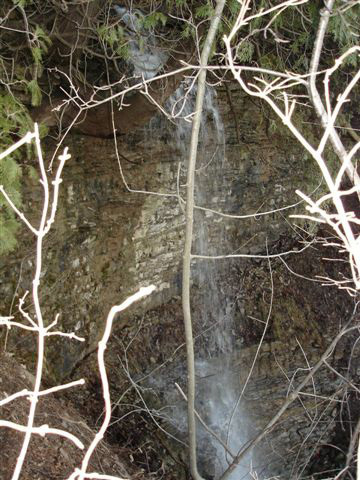 The first three vertical drop sections are about 12 – 15m in height and there may be an additional drop beyond it, but it was not visible from the ridge beside the waterfall. Thus further investigations are required for this waterfall. Ferguson Falls was “discovered” by David Wootton in January 2008. 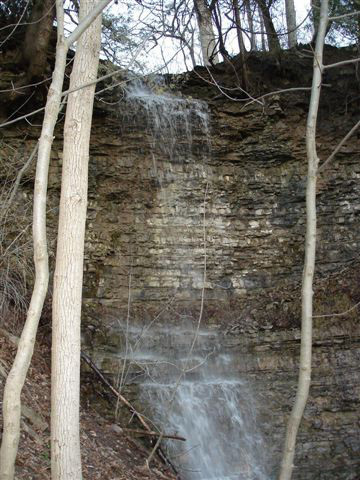 To reach Ferguson Falls, follow the instructions for Tews Falls, but follow the Bruce Trail towards the Dundas Peak and not to Tews Falls.